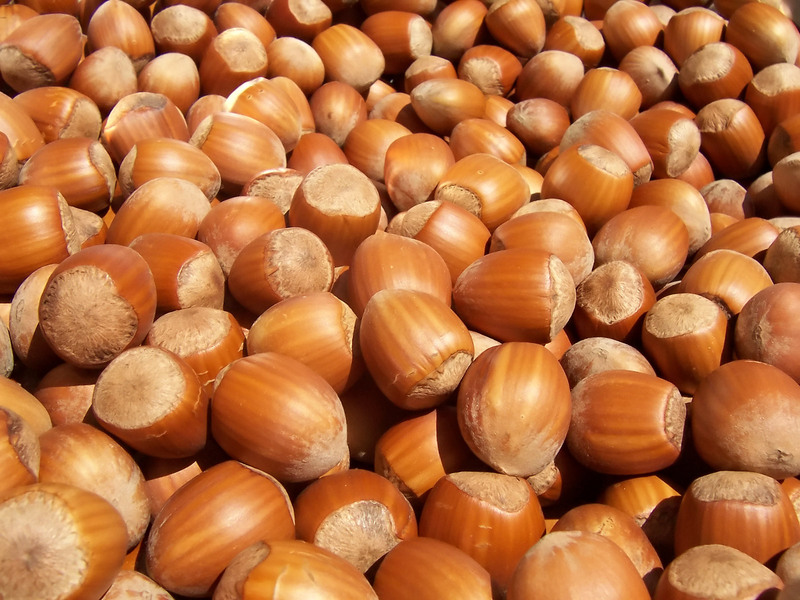 Fresh Hazelnuts. This variety in England is called the Kentish Cobnut. 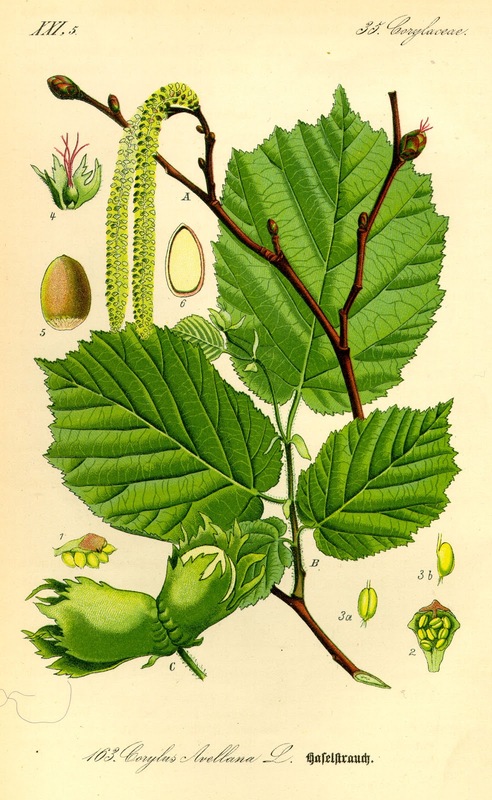 The Hazels are a group of deciduous large shrubs to large trees that are best known for their edible nuts. 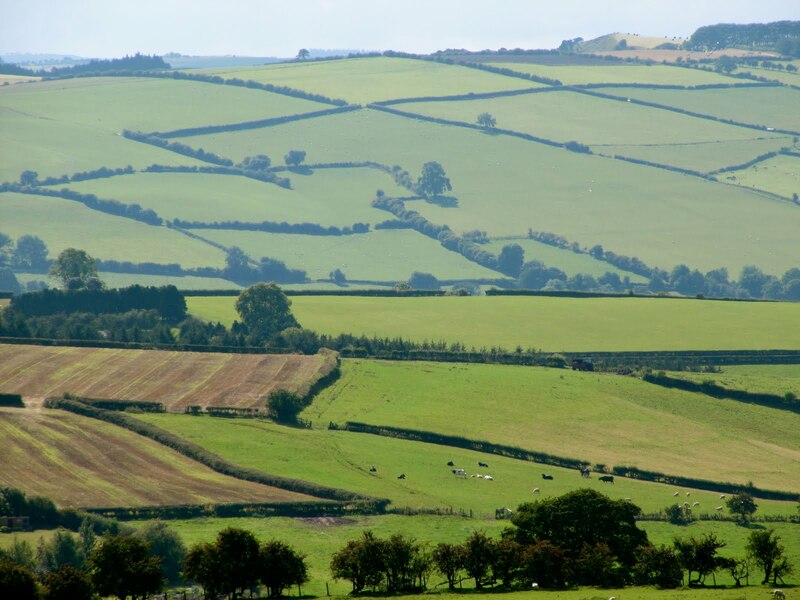 They are also fantastic windbreak and living fence plants – they were the traditional boundary markers in England. They provide pollen, food, and shelter for wildlife, and their wood has a large number of uses. These are great plants to blur the boundary from wild to garden. The Hazels are a genus of plants containing 14-18 species that are native to the northern temperate climates of the globe. 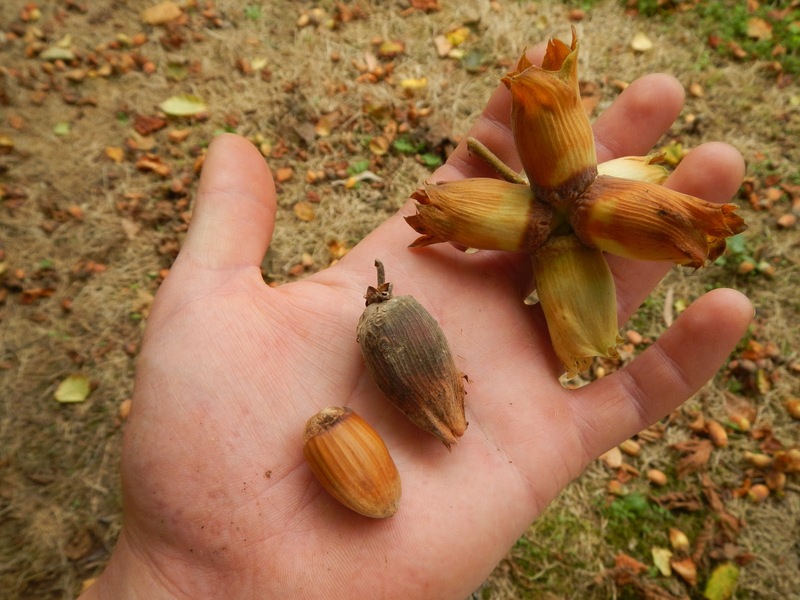 Every species produces edible nuts, but some are larger and tastier than others especially the cultivars that have been developed in recent years. 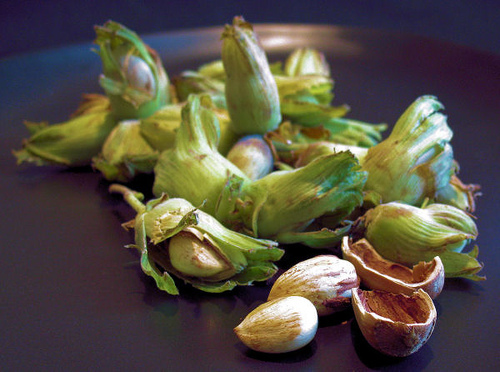 Hazelnuts are used in a wide range of food and drink. Wood can be used for stakes, rods, thatching, fences, tools, handles, firewood, charcoal, etc. Harvesting: Late Summer through early Autumn (late August – October). Nuts are either harvested from the ground or with nets while the tree is shaken. Pollination: Many of the hybrids and improved varieties are self-fertile, but the undeveloped species require cross-pollination from at least one other variety/cultivar. 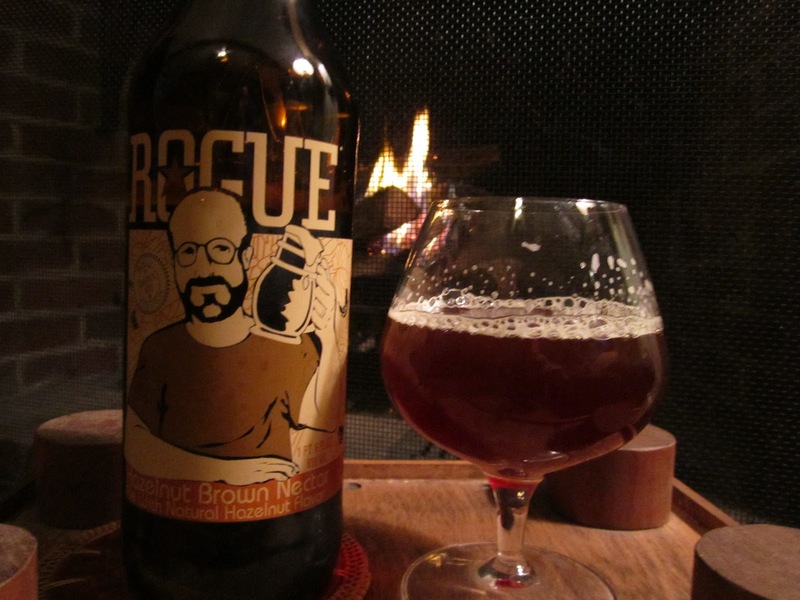 All varieties will benefit (i.e. produce more nuts) when allowed to cross-pollinate. 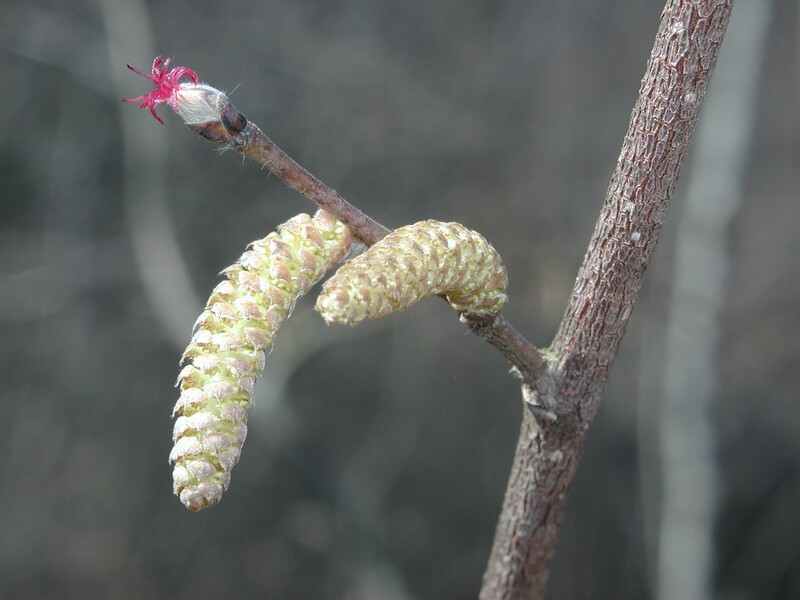 Note that many Corylus species will cross-pollinate with other varieties and species. Check with your supplier for more specific information since there are so many species and varieties and hybrids. Pollinated by wind. 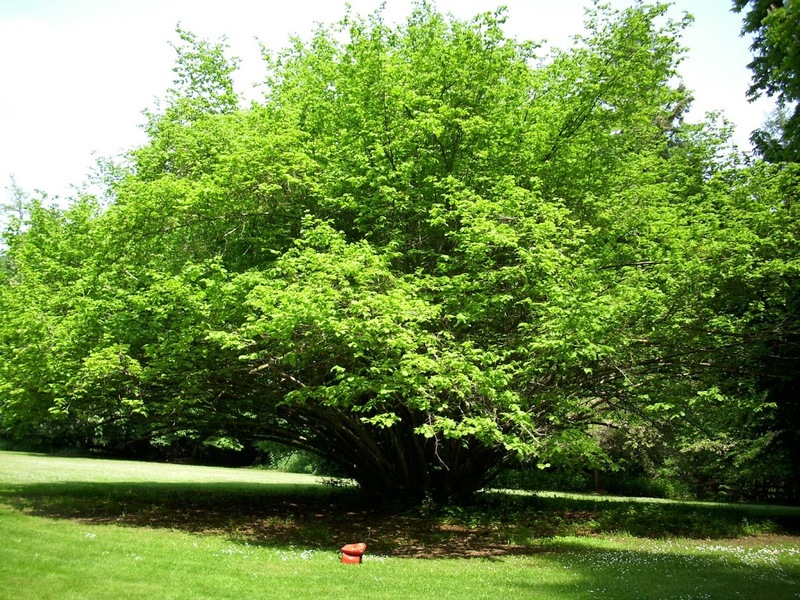 Years of Useful Life: 40-50 years, but likely much more for the larger tree species; also considering the suckering nature of the shrub species, new shoots will develop into plants to replace older plants thereby making the thicket’s lifespan indefinite. Hedgerows, often of Hazels, were traditionally used as boundary markers in Britain. Propagation: Stool layering is common. Can divide suckers in early Spring. Usually grafted. Seeds need at 16-20 weeks stratification for germination. Minimal. May need to cut back the shoots from suckering roots if you do not want a thicket or hedge. Next Eastern Filbert Blight. What is it and what do we do about it?